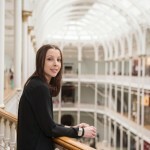 It’s been two years since Bryony Windsor, Head of Exhibitions at the National Craft & Design Centre (NCCD), approached me to see if I would be interested in curating a collaborative exhibition exploring contemporary glass within the UK. The Art of Glass exhibition is the result of this collaboration, which saw both curators undertake a vigorous research and development phase funded by the Art Fund Jonathan Ruffer Curatorial Award, conducting peer reviews and artist studio visits to ascertain the state of artistic glass production within Britain. 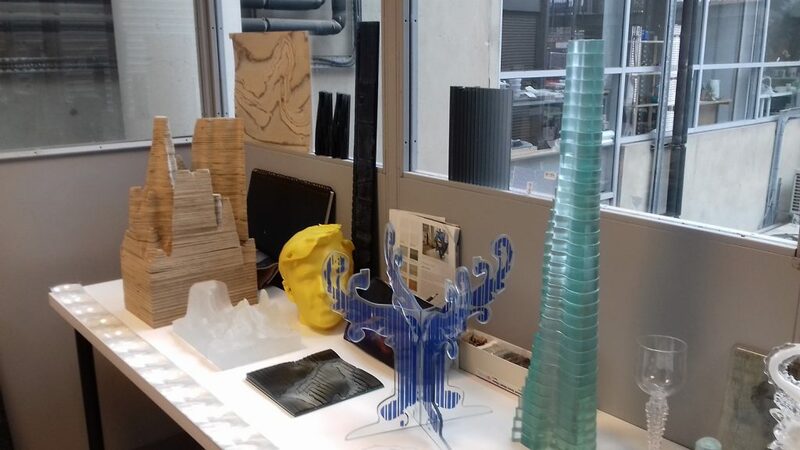 Peer reviews were undertaken, with specialists and curators in the field of contemporary glass being consulted during the initial development to accurately gauge the current status of contemporary glass within Britain. We also visited many of the UK’s leading artists working in glass, to ascertain why they are drawn to this medium again and again and to create truly diverse works of art. A highlight of our trips was being able to visit the artists within their own studios to discuss and view the work they are currently developing and see some works we have not seen in the flesh. A selection of glass artists who feature in the exhibition is highlighted below. A real honour for me was to be able to visit the internationally acclaimed artist Emma Woffenden’ s studio. One of Britain’s most innovative glass artists. Emma employs a full range of complex glass and mixed media techniques to make works that explore the more intangible conditions of human existence that are grasped as sensations, feelings and awareness. Her ambiguous, androgynous forms often seem to be engaged in unfamiliar rituals, comic violence, or often absurd and slapstick acts. Emma Woffenden with her work at the RONA factory in Slovakia Photo: Maria Bang Espersen. 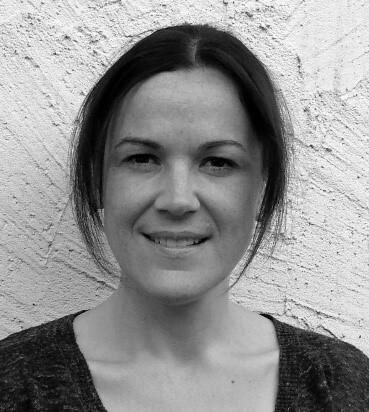 Emma has participated in numerous international exhibitions and was Artistic Director for the North Lands Creative Glass in Scotland between 2014 and 2016. Her work is included in a number of international public collections, including the Victoria & Albert Museum, London; MoMA, New York, USA; Ernsting Stiftung, Glasmuseum Alter Hof Herding, Coesfeld, Germany; and the Corning Museum of Glass, Corning, USA. 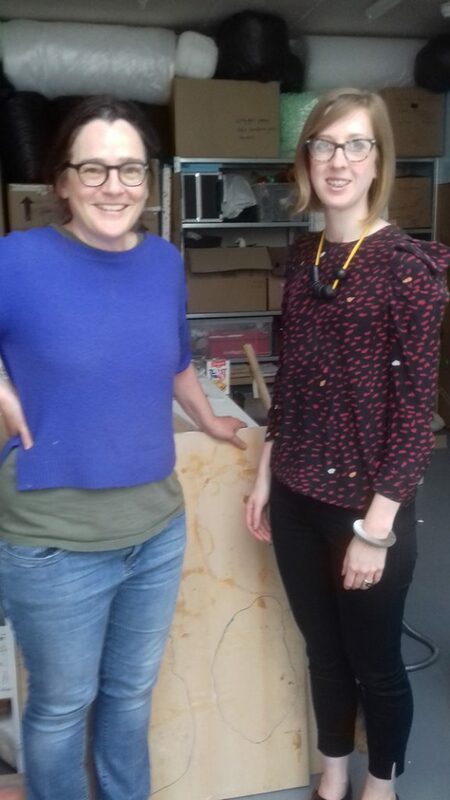 Whilst we visited Emma in her studio in south London, she told us about her recent residency and the research she had undertaken exploring the forgotten glass moulds left over from industry where she was based. These mould-blown forms had come to be the basis for a new body of work exploring the human figure and her associations with motherhood. The results were showcased at the Women’s Hour Craft Prize held last year at the V&A, in which Emma was one of the finalists. Emma was interested in taking this research further and agreed to create a new figurative piece for the exhibition. 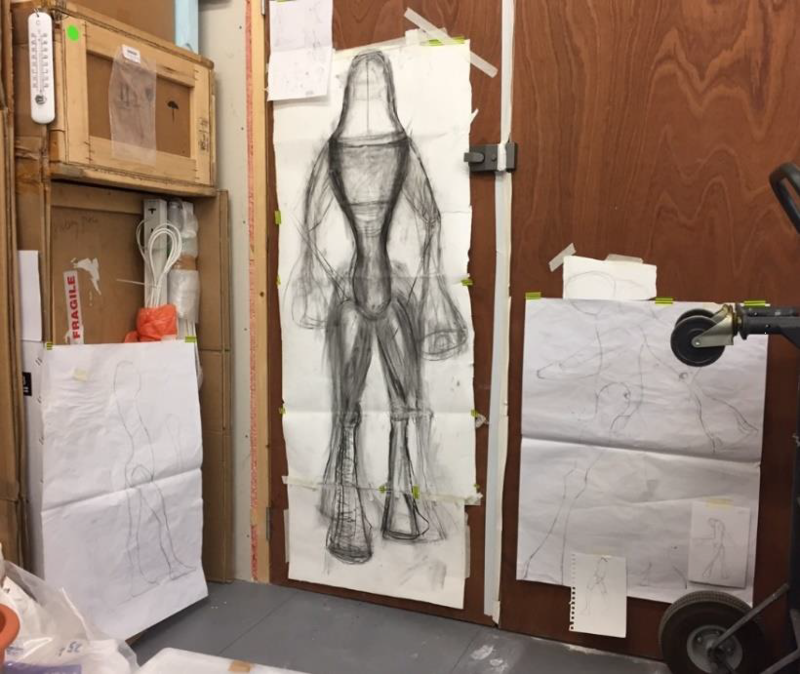 Some of Emma Woofenden drawings for a new figurative sculpture in her studio, London. We were very honoured that an artist of Emma’s stature not only agreed to participate but also proposed to create a new piece for the exhibition. The result, Mummy Woodentop, is a hauntingly beautiful figure referencing the silhouette of the Madonna and encapsulating elements of Emma’s childhood memories. Emma’s work in Art of Glass was generously funded by Arts Council England through a Grants for the Arts. Rhian Hâf. Photo: Gwenda Jones. From urban locations to rural communities, artists have always found a place in which to pursue their love of glass. One such artist whose practice has a foot in both is the Welsh artist Rhian Hâf. An Edinburgh College of Art graduate, Rhian’s artworks look to capture light and shadow, translating and developing personal observations of silent, transient moments. She spends many hours altering and working the surface of optical glass for her sculptural installations to highlight and reveal the medium’s different surface qualities, or simply to maximise on its pure reflective and transparent properties as a raw material. Rhian was recently awarded the Gold Medal for Craft and Design at the National Eisteddfod of Wales and was artist in residence at Ruthin Craft Centre, which resulted in her first solo show Captured Moments. She is increasingly being recognised as one of the UK’s leading emerging talents and was championed by Phillip Hughes, Director of the Ruthin Craft Centre, and also Julia Stephenson, Head of Arts at the National Glass Centre, during our peer reviews. Rhian Hâf explaining her work within her family home in North Wales. I have admired Rhian’s work for a number of years, so it was wonderful to meet her in person for the first time last year. She generously invited us to visit her studio, which is based within the grounds of her family’s farm in North Wales. So as her father’s young sheepdog pups played outside the door, Rhian showed us her work and how she is striving to capture the ephemeral light conditions she is so influenced by. She translates these elusive moments within large-scale installations, of which she, after borrowing her parents’ front room to create a makeshift gallery, showed us part of her recent piece. These are mesmerising artworks that create refractions and reflections, some subtle and delicate, others bold and dominant. The casts of light she creates with her glass work is part of the larger installation as well as the result. Her work is the result of many years of research and material exploration to achieve this synthesis of light. We are really excited that Rhian is part of the show and that when the exhibition travels to NCCD we will be able to show the full installation. For a number of years, I was the Exhibitions Officer at the National Glass Centre (NGC) in Sunderland. It was here that I was first introduced to the myriad of ways artists are exploring this versatile and visceral medium. 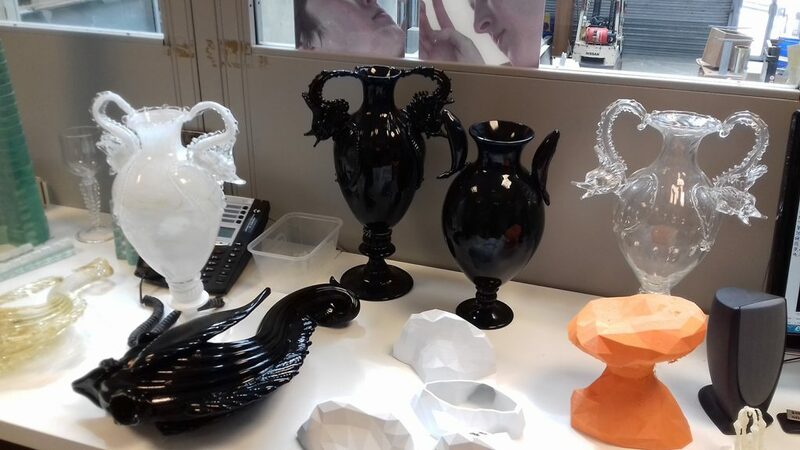 Many of the artists I worked with and NGC exhibited are creating work which challenges the perception of glass as merely a material for functional objects, and are looking to re-evaluate our understanding of the role of glass as an artistic medium. One of the emerging artists that I exhibited during this period and is still based at the NGC is Erin Dickson. Erin’s practice combines architecture and digital technology to consider the emotional qualities of urban and domestic spaces. She sees her work as an intersection between glass and architecture, with her works ranging from time-based performances to photographic glass reliefs, through to monumental sculpture and installation. 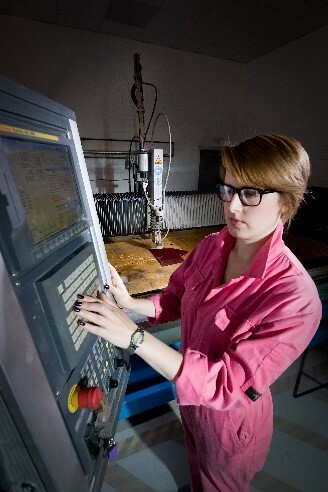 Erin Dickson at work with the waterjet cutter at the National Glass Centre, Sunderland. She has exhibited internationally and notably was selected for Glasstress, part of the 2017 Venice Biennale, alongside artists Ai Wei Wei, Tony Cragg and Sarah Sze. 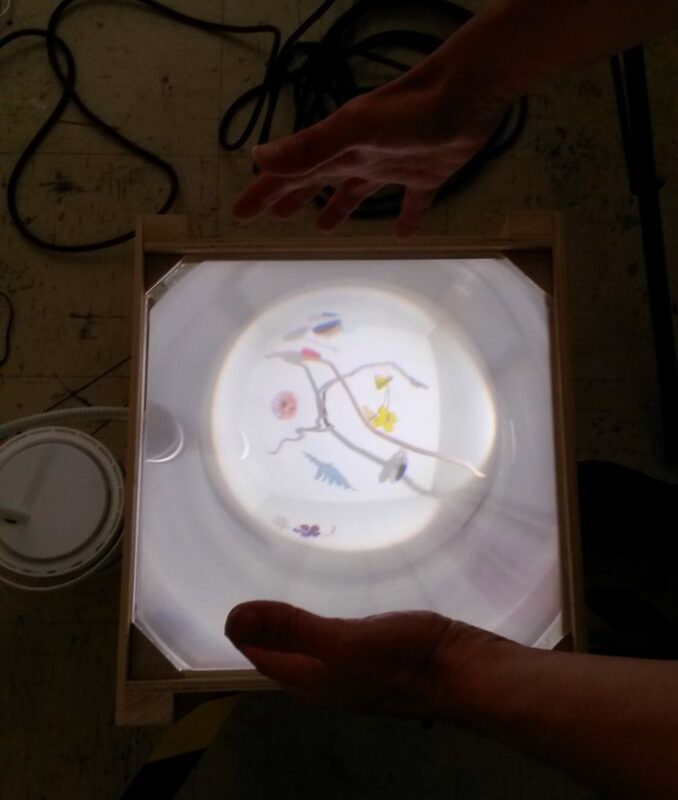 Based in one of the incubator studios at the NGC, Erin has been developing work alongside her research into the application of digital technology and the use of industrial practice like the waterjet cutter. Some of her earliest work explores architectural spaces and relates to her first degree within this field. Her workbench holds a wonderful collection of past pieces, maquettes for future projects, and a rather fine bust of the artist’s head created via a 3D printer. Some of Erin’s work within her studio at the National Glass Centre, Sunderland. Photo: Sarah Rothwell. Whilst we were there, Erin explained to us that following her participation within the Glasstress Gotika exhibition two years ago in Murano, Italy, and her visit to the island and its wonderful museum and glass factories, she has been developing a project inspired by the histories and traditions of glass making and the worldwide migration of people and skills. She was fascinated by how, essentially, glassblowing has little changed over the centuries, but that the terminology and understanding of its methodology changes from factory to factory or artist to artist, depending on their training but also their own creative influence. Chinese Whispers in development within Erin Dickson’s studio now can be seen in the Art of Glass exhibition. Photo: Sarah Rothwell. 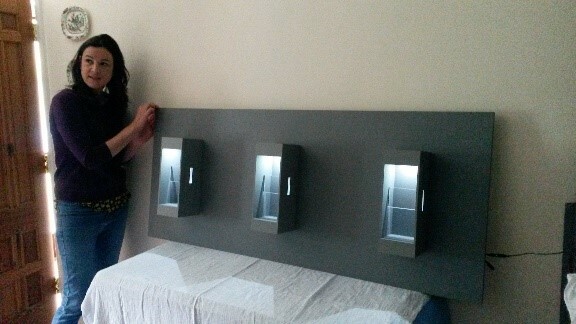 It was this project that captivated us both and we thought would be wonderful for the exhibition. Erin has, since this meeting, collaborated with five international glass artists in the reinterpretation of a historic glass vessel, and has just secured her sixth. The work Chinese Whispers is on display within Art of Glass and will continue to grow over the next year in time for when the exhibition opens at NCCD. We are very excited to see how this piece will develop and who will come on board next. During our peer review, one artist that was continually championed by everyone we met for creating work that strove to re-evaluate the traditions of glass was Helen Maurer. Helen’s practice plays with our sense perception; she creates an illusion through elements and objects, transforming the smallest source into something large. There is often both a two and three-dimensional element to her work which is realised through the interplay of glass, light, projection and sound to create installations that can reference the architecture or histories of an environment. Helen originally studied Fine Art and Theatre before specialising in glass, with an MA from the Royal College of Art, where she was traditionally trained in stained glass. Her work distils this classic form of glass art to capture the play of light and the way glass emphasises its reflection and refractions. She often collaborates with other artists, choreographers and musicians to create works and has exhibited nationally and internationally. Notably, in 2003 she won the Jerwood Prize for her unique approach to glass. Helen Maurer in her studio, London. Photo credit: Sebastian Sharples. Based in north London, Helen’s studio is a wonderful place to visit. Her work surrounds you and as you enter, you are immersed within one of the pieces she has developed for a site-specific installation at Weston Park, Shropshire. 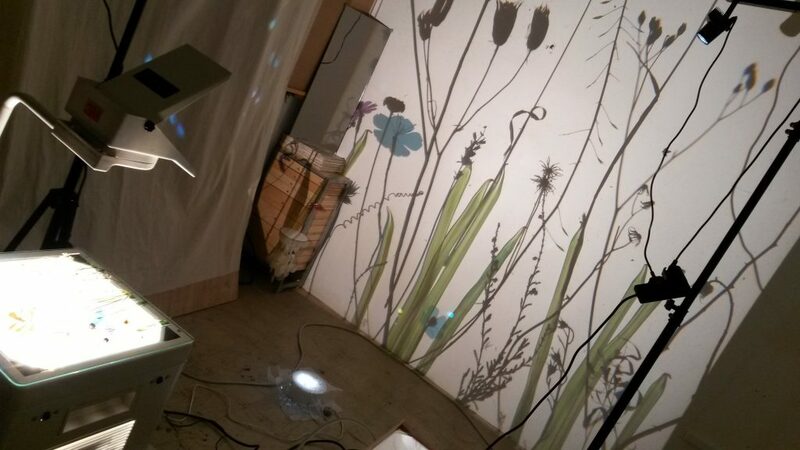 Fragments of glass are projected on the wall, whilst hanging pieces are stirred by a fan to give a sense of aetherial landscape within the confines of an industrial warehouse. 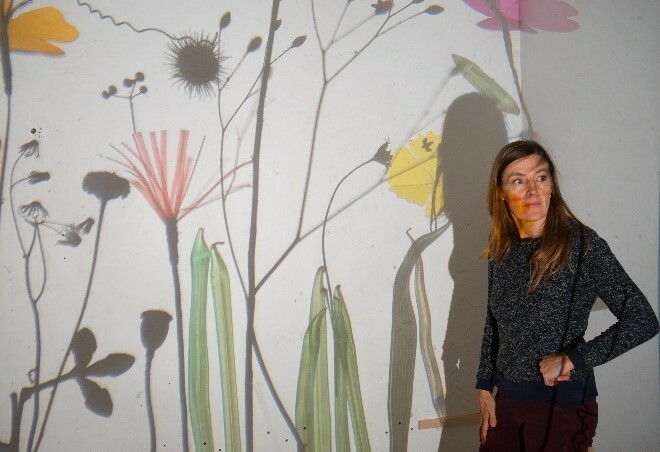 Within Helen Maurer’s studio, you become fully immersed in her projection and sound installations. Photo: Sarah Rothwell. It was lovely to meet Helen in this space and understand how her background in theatre combines with her fascination for glass, to create dynamic and dramatic works that often explode across a vista. However dramatic the outcome, there is a subtly to the application that draws you in and forms a desire to understand how the work is created. Getting up close to one of Helen Maurer’s optical illusion pieces at her studio. We were thrilled when she agreed to participate in the show, as she has taken the traditions of stained glass and turned them on their head, creating beautiful compositions that are radically different to what you expect from glass. 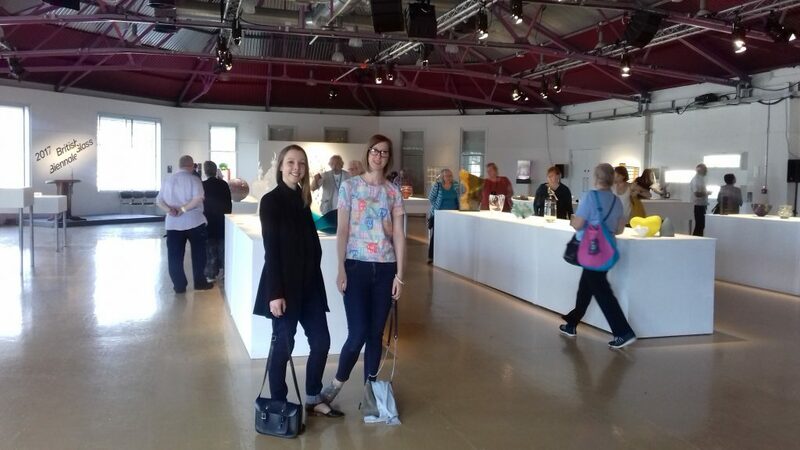 Curators Sarah Rothwell & Bryony Windsor at the 2017 British Glass Biennale, Stourbridge. We would like to thank all the curators, specialists and artists we visited during our research trips, for their time and for generously inviting us into their offices, studios and homes to meet with and discuss this project.